Height 1m. A Winter flowering gem (Feb-March). Scented flowers followed by scarlet berries. Rootballed plants supplied. Plant with soil firmly surrounding the roots and with space on both sides for roots to expand. 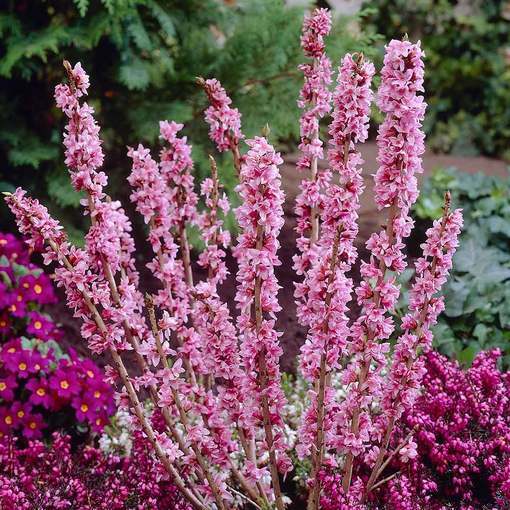 Daphne are deciduous shrubs that are best planted in humus rich, well drained and fertile soil. 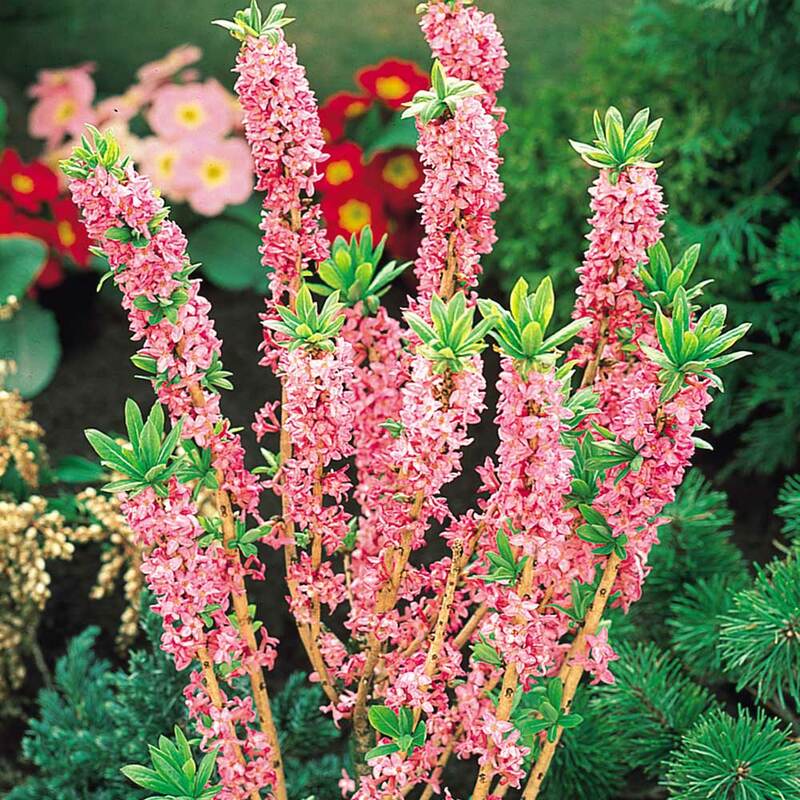 Perfect for borders or rockeries.